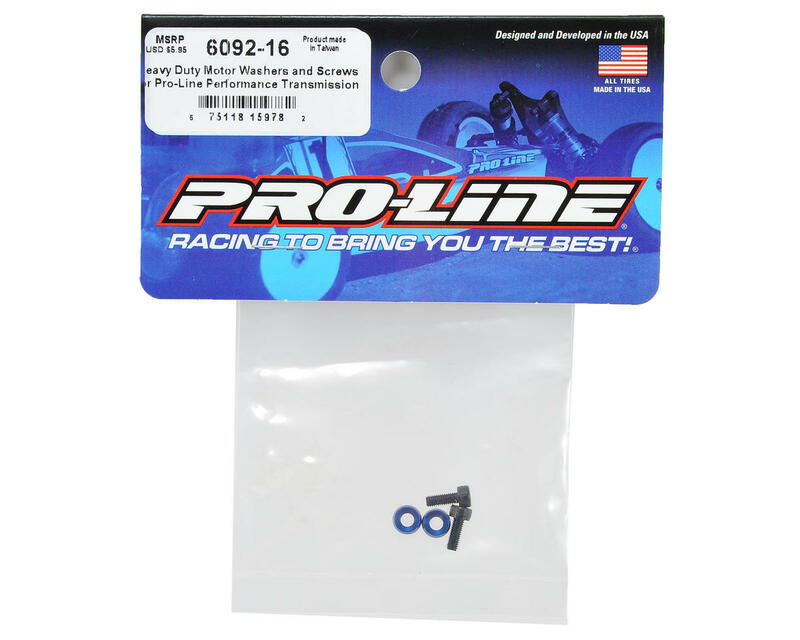 This is an optional Pro-Line Heavy Duty Motor Washers & Screw Set, and is intended for use with the Traxxas Slash, Electric Stampede, Electric Rustler and Bandit vehicles. Pro-Line now offers Heavy Duty Motor Washers and Screws to make sure motor stays where it should – Putting the Power Down! 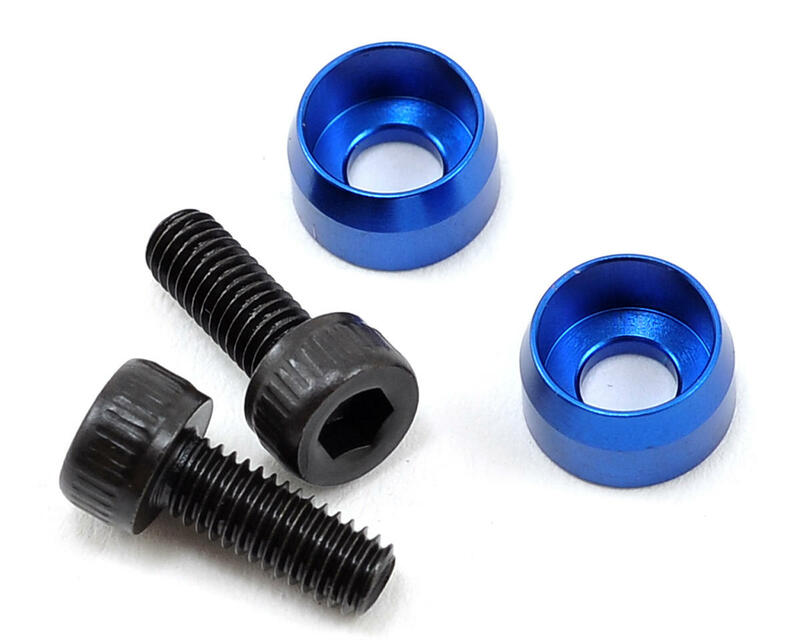 The Blue Anodized Machined Motor Washers allow you to tighten down the motor more than ever before and reduces the chance of your motor moving from hard impacts. This is a great upgrade for anyone running high power brushless motors!